Ross Perlin talks about his explosive exposé of the new intern economy, INTERN NATION. And Jon Katz tells us about his new book for children, MEET THE DOGS OF BEDLAM FARM. This month thousands of college students will fan out throughout the nation to begin their summer internships. They’re expecting to learn something about the careers they want to pursue and make connections that will help them land a permanent job in them. That’s the way it’s supposed to be. But, for the most part, that’s not happening, according to Ross Perlin. His book INTERN NATION says unpaid internships that fail to teach any skills are becoming the norm, displacing paid workers and subjecting interns to flagrant exploitation — including sexual harassment and dangerous working conditions. Universities are complicit, raking in fees for academic credit. It’s illegal — and it’s changing the way we view the the right of workers to a fair day’s pay for a day’s work. 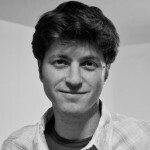 Ross Perlin is a researcher for the Himalayan Languages Project in southwest China. He has written on disappearing languages in the U.S., China, and the former Soviet Union. Intern Nation is his first book. It’s out from Verso Press. Jon Katz has charmed adult readers for years with his tales of the dogs of Bedlam Farm, the rural homestead he lives on near Albany, New York. Now he’s come out with a terrific book for children called MEET THE DOGS OF BEDLAM FARM. In it, he tells the stories of Rose, Izzy, Frieda and Lenore, working dogs all, and how they work together to create a community of love and cooperation. 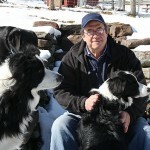 Katz is the author of The Dogs of Bedlam Farm, Dog Days, Rose in a Storm and many other books. Meet The Dogs of Bedlam Farm made the New York Times Bestseller list in the first week of publication.